Archaeology Starts Just Outside Your Door! 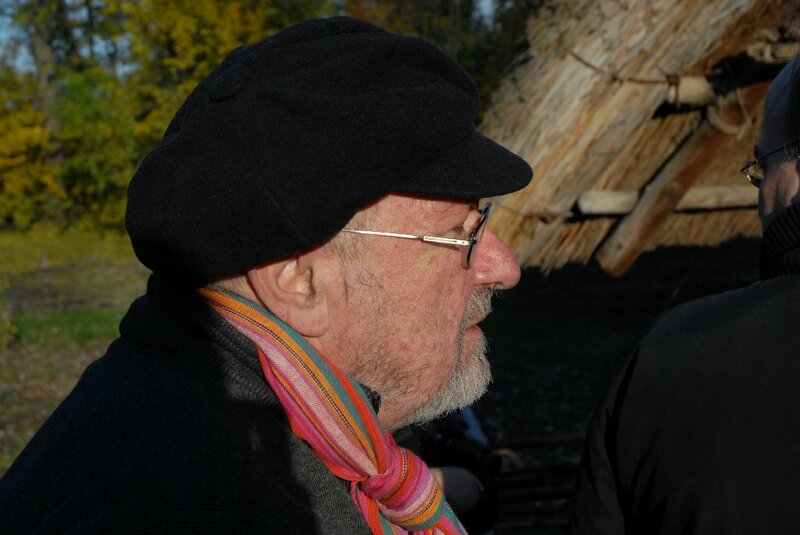 Experimental archaeology in Austria carries a name: Hofrat Dr Helmut ‘Hugo’ Windl (born 1944). Windl, has, from the start of his academic career, stood strong for the establishment of this practical form of research in the Alp Republic. Over the last couple of years he has enjoyed being retired and is, before anything else, a granddad. However he has not yet let go of the pleasure of experimental archaeology. The phrase museum should be reserved for those institutions that show originals. I know several colleagues who think a reconstruction is more important than the original; I, however, am not convinced about that. In March 2012, he was involved in the Ergersheim experiment as a ‘scientific whip’, where the focus was on early Neolithic wood technology, similar to the experiments that took place in 2011. After a full weekend where we cut down four thick oak trees with (pre)historic techniques (see image above), I found the opportunity and courage on the Monday after to interview Hugo Windl in the ‘base camp’ (the Pub ‘zum Ross’). How did you turn to archaeology? 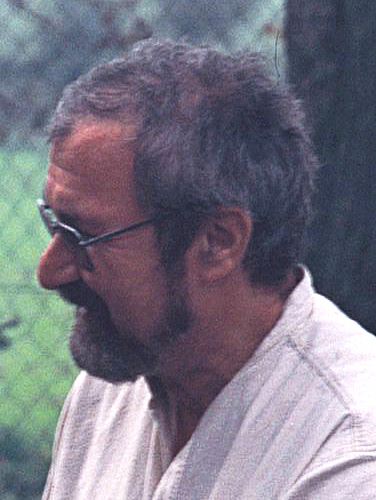 I started my studies in 1965 in Vienna with Professor Hirschberg in Ethnology with emphasis on Mexicanistic Studies, with pre- and early history as a side subject. I changed main and side subject quite fast when I realised that archaeology starts just outside one’s door and not on another continent. Those days I was already influenced by some people, especially Karl Anton Nowotny, who managed a very open style of teaching where he partly let the students choose the theme by themselves, always interactive and, for the times, very progressive. Another person I was very impressed with was the then leader of the anthropological department of the Naturhistorisches Museum in Vienna, Johann Jungwirth. I had to finance my studies, and that is why I worked there. Jungwirth showed me that one gets more in return from one’s colleagues by being friendly instead of by pressuring them, standing behind them with the whip. It has the advantage that one can eliminate mistakes in time because with the whip behind you, people never admit a mistake and this then gets dragged along for decades. 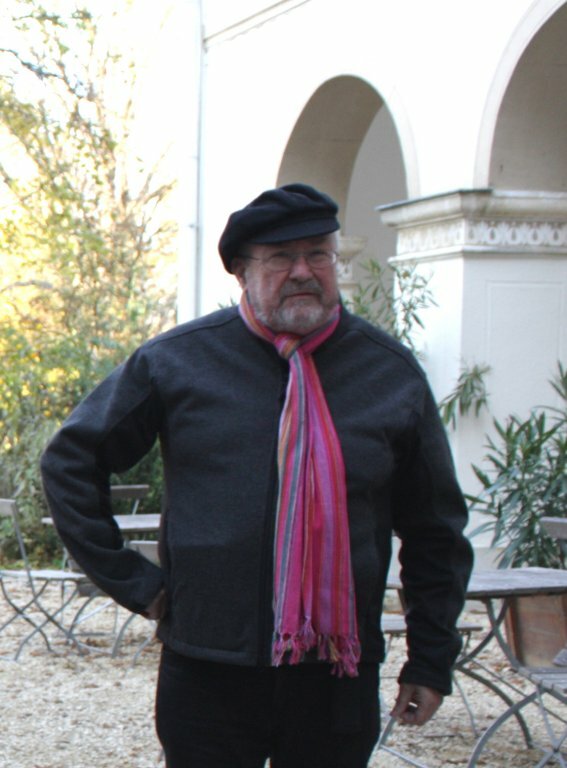 With this training, I became of interest to the then director of the open-air museum in Asparn an der Zaya, the Lower Austrian Landesarchäologe Franz Hampl. He too came from Mexicanistic Studies and had prehistory as a side subject. As I was already interested in experimental archaeology, he suggested that I be his successor, and so I was. At that moment, you already had your PhD? Yes, I got my PhD in 1975; in between I had done 6 months of military service. With my previous studies in food technology, but without a diploma (laughs), I had a reservoir of scientific knowledge in the areas of chemistry and technology. In those days I could already design and build a rotary pump. I had studied animal reproduction, physiology and plant determination. I had no problems with Archaeozoology and Archaeobotany and theories of breeding and could take it easier in these disciplines. It was good to know how to appreciate scientific publications as well. It does not hurt to do a ‘studium generale’! I wrote about a Laténe and Roman Iron Age cemetery from Mihovo in the Unterkrain, an old excavation done by a tailor, commissioned by Josef Szombathy. There were hardly any contexts of the graves documented. In my research I tried to process the grave contexts and relations as far as they existed and to derive a chronology from this. I then I realised that the work by Jochen Garbsch on the Norical-Pannonic female costumes was actually based on ‘fantasy dating’ as he had used non-secured grave contexts from Mihovo. What was the archaeological highlight in your life? That would be the Schletz excavation with the Bandceramic material, and a bonus which one would easily forget: an early Merovingian stray settlement with its graves and the first house with both living quarters and a stable (wohnstallhaus) this far south. I am convinced that this is not an isolated case, which would have been wrongly dated by others. Beyond doubt, this is a hall house with three naves. The most important thing about Schletz however is the Bandceramic part with its important system of ditches and the probable massacre with unburied bodies, all with lethal wounds, in the ditches near the gates. This for sure is the result of a military operation, similar to Thalheim near Heilbronn – only in that case the victims are buried so there are no traces of animals munching on the bodies. At Schletz the dead were simply left lying around, one even fell into the well – at some point they were cleaned up. The finds in the well show this; it probably did not happen through erosion. In the youngest silos we still find important things like giant sandstone slabs, but in fact the settlement had been abandoned. Following on that, you took over the Archaeological Open-Air Museum in Asparn in 1976? Yes, back then it was already up and running and I tried to bring a bit more action in the open-air area (See Figure 2). As a start I had already previously excavated a Laténe Era pottery kiln, which we then reconstructed at Asparn. It was the first so-called Lochtennen type kiln. With that we had something to organise smaller events around. Then I made some attempts with bronze casting. Besides that, I got several female staff members interested in textile techniques. Then those ladies did not spend their free time anymore on gossiping and knitting, but learned with quite an enthusiasm prehistoric techniques, many types of weaving even some more of the complicated stuff like up to tartans in twill weave, added to this card weaving and making patterns. Then I thought the time was ripe to feed this to the younger colleagues (Figure 3), and I managed to establish a teaching course for Vienna University. The first year was very successful, we only did ceramics, later we added textile production and dyeing. We conducted an experiment in grinding corn to test different types of querns. We found out soon that the so-called trough mills (Trogmühlen) with hammer stones have nothing to do with grinding corn but are still catalogued by archaeologists as such. For grinding, one actually can only use saddle mills. The rest of the experiment can best be dismissed because we used modern corn and actually were only measuring the abilities of the participants in the time it took them and how well the corn was ground. Exactly, and I need to add that in 1976 I took part in an international conference on archaeology and ecology at Lejre (Denmark) – my personal interest brought me from the Eco-niche – where it became clear that biologists were not really interested in our techniques. We discussed slash and burn, and they thought that this destroys the subsurface life – nowadays we know that slash and burn usually can be something positive. The next theme was the construction of ards and ploughs (Pflugbau). I nowadays assume that this must have already existed when people started growing corn. The digging stick and hoe are only good for tuberous roots. Drilling a hole for each single seed and to sink it into the earth while praying does not bring you very far (laughs). You probably had many contacts with colleagues abroad? Yes, I knew John Coles, Hans-Ole Hansen and Peter Reynolds personally; Franz Hampl had good contacts with Coles who in those days gave presentations in Vienna. He was also in good contact with the other two, and I have continued this cooperation. I remember well: in the 1980s at a conference in Århus about prehistoric architecture (Editors: several papers on this were published in EuroREA over the years 2009 - 2011), a certain Jens Lüning (later professor for prehistory at the University of Frankfurt) sat in the background, silent as a mouse, never said a word and only listened. But later in the Rheinland, he did very good things on house construction and agriculture, so back then he learned a great deal. Did the experimental archaeological activities change the museum in Asparn? Sure, you do not need to force anybody when it is about shooting bow and arrow or atlatl. Exactly! Obviously that is not experimental archaeology, it merely stems from experiments that form the base for this. One has to learn extra bits – and making the museum more alive this way taught me that roofs without walls are very important and probably were so as well in prehistory. In a closed house, even with good eyes, many jobs are hard to manage, and that is why I think that many of the house plans we excavated are only posts for roofs which might have been closed with a wall on a single sided only. I could imagine well that many four-naved buildings were more like buildings in the ‘colonial style’, with a porch on all sides. There, one can store things to keep them dry and one also has light to work with. Yes, the carrying posts were completely rotten away at the edge between soil and air so it now has to be replaced with a new building (See Figure 4). It is exciting to think about how the roof was covered – nowadays I do not believe any more in a thatch with reeds or straw because for that the straw in those days was not long enough. I would also not accept thatching with tangled straw (Wirrstroh) as, for example, is suggested by Detlev von Brandt. It may work well in Hungary, but not in regions where it rains a lot. Besides that, it needs renewal every year – imagine such work on a house that is over 30 metres long. Did the activities and experiments that you managed in Asparn change your understanding of the past? It changed my perspectives regarding ecology. I understood much better how people adapted to their environment in those days, with simple means. It also enhanced my interpretation possibilities at excavations. When I excavate a specific era, I carefully look at the environment and the natural resources; I speak with the locals and have always included only locals in my excavations and got lots of information from them. When you know these things, you do not need a geological map, which is certainly less detailed, one knows where the clay extraction sources are, where in a Loess area one can get gravel where one can obtain sandstone. For the Schletz site this was important; I have giant sandstone blocks that were towed over a distance of more than 3 kilometres, but they do not exist in any geological map. However, there is a nice opening of the Primeval Danube with nice bed loads, which one has to compare with the finds – there we have an opportunity for archaeological tests. What do you think is the main mission of experimental archaeology? Or: what does experimental archaeology have to offer? 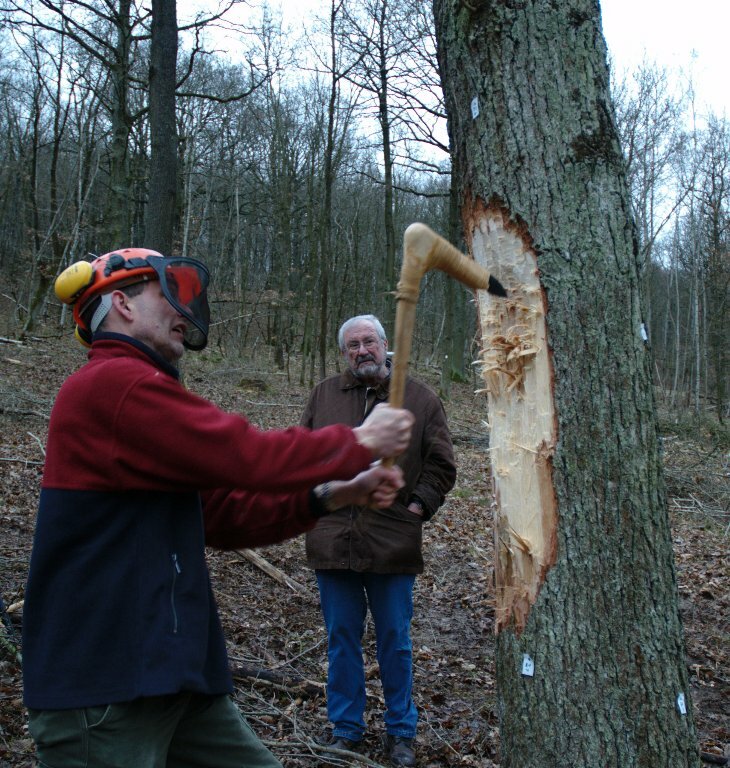 What position does experimental archaeology have in Austria? It is important, especially because there is a workgroup in the Austrian Society for Pre- and early history (ÖGUF). This workgroup consists of students who were in my classes, but had developed an interest themselves. We should count among those people like Karina Grömer, Hannes Herdits, Wolfgang Lobisser, Mathias Mehofer and Johann Reschreiter. Every semester, a few of those students stick along in the workgroup and continue. Originally they might see it as a hobby course; we are still far away from real experimental archaeology although we also try to teach the theory that goes with it. This often fails because the interest of the students is elsewhere. They want to make something that they can take home. We cannot stop that from happening, but let’s say that for 70% of the students, that is it. With the other 30% we can move deeper and they turn up later again, for example at events of the workgroup. The workgroup has its own workshop in Vienna – and this works. Not only folks from Vienna come to Asparn, also groups from Bamberg (D), Brünn (SK) and Kraków (PL). This year (2012) a group from Erlangen, around Leif Steguweit, will visit Asparn, and they will be in time for the 30 year jubilee. I am only a guest there; I leave priority to the young ones. They have new methods, and I keep making demands for the sake of experimental archaeology (See Figure 5). It is really not allowed to degrade to a simple hobby course at folk high school level. It takes a long time to learn a craft, and the theory is not allowed to stay behind. What do you think, in what direction will experimental archaeology grow, where do you see chances for the future? As in the past, I see the largest potential in archaeo-ecology. PR work like demonstrations and living history may draw the public’s attention, but it often produces a false image, and if then esotericism and fantasy are added to that, it completely runs out of control. No, the connection of archaeology and ecology is important because it offers clues to how people have adapted to changing living conditions. The growing number of open-air museums with archaeological themes: for you curse or blessing? If it is well made, it is a blessing. Many of those ‘museums’ should more correctly be called ‘open-air centres’ or ‘open-air parks’. The phrase museum should be reserved for those institutions that show originals. I know several colleagues who think a reconstruction is more important than the original; I, however, am not convinced about that. (Laughs) what should I say? Keep going, take experimental archaeology seriously and do not consider it as fun and games. Dear Hugo, thank you for this conversation.